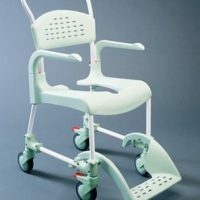 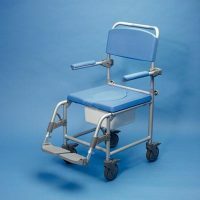 This attendant propelled shower and commode chair features a comfortable contoured horseshoe seat for washing and toileting use. 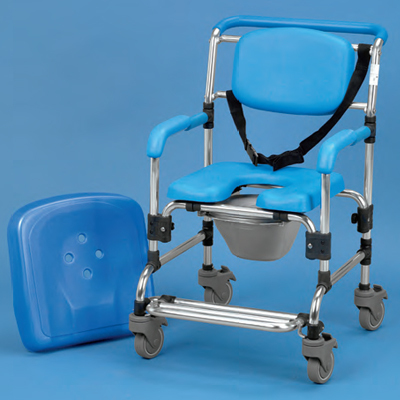 The backrest and armrests are padded for comfort and support. 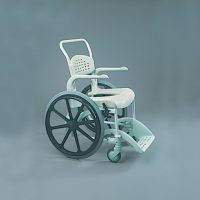 Manufactured from corrosion resistant materials, it is durable and easy to clean. 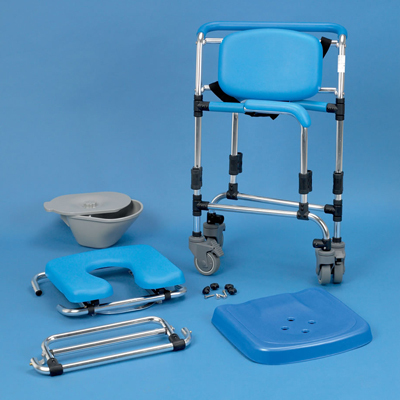 The aluminium frame can be easily dismantled, ensuring it is compact and lightweight for transport and storage. 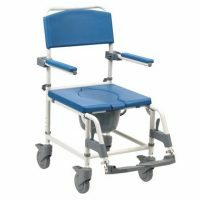 Supplied with a commode pan and four braked castors.